Join Glynn as he shows you how you can bank $500 per day everyday through CPA marketing and a traffic source that allows you to get clicks for pennies. You will also learn how to build a list for long term income. 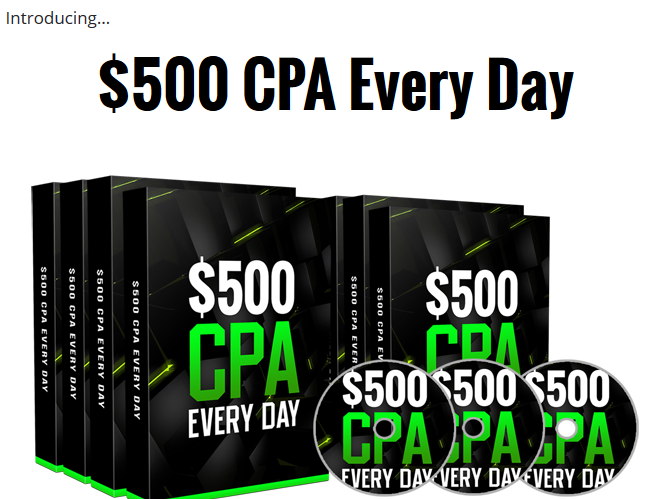 $500 CPA Everyday reveals a secret traffic source that we use to generate CPA commissions of $500 per day on complete autopilot. As an affiliate you'll get INSTANT PayPal commissions! We're giving away $500 in CASH PRIZES!